Canada’s hottest new books have been selected in three genres: Non-Fiction, Literary Fiction and Mystery. Toronto, ON – May 1st 2018 – Rakuten Kobo, in search for the best new books written by debut Canadian authors, today announced the shortlist for its fourth annual Emerging Writer Prize. The award was created with the goal of kick-starting the careers of debut authors, with a $10,000 CAD cash prize awarded to a book in each of three categories: Non-Fiction, Literary Fiction, and Genre Fiction (Mystery this year). In addition, each winning author will receive promotional, marketing, and communications support through 2018. The 2018 shortlist, selected by Kobo’s team of booksellers and booklovers—with book completion rates, customer ratings and reviews considered—comprises six books from each genre. The shortlist will now move on to the final selection process led by top Canadian authors: Lori Lansens for Literary Fiction, Jay Ingram for Non-Fiction and Linwood Barclay for Mystery. The winners will be announced on the evening of June 19th, 2018. Press release provided by Rakuten Kobo - read the full release here. 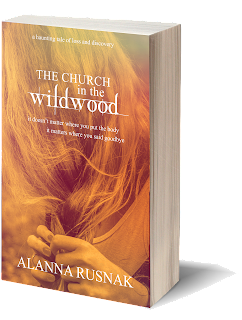 When her debut novel, The Church in the Wildwood, received such a warm reception from readers and fans of her work, Alanna Rusnak felt compelled to dig a little deeper into the story of her favourite character, resulting in a novella that erases the barrier between character and author. 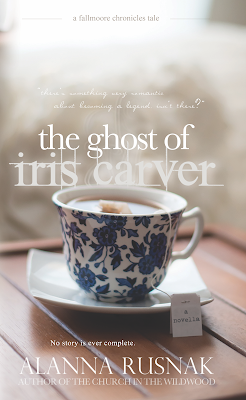 The Ghost of Iris Carver is a tender, emotional journey back to the character that enriched the Wildwood narrative. Though readers have proved to be quite polarized in their opinion of the flawed Iris Carver, the consensus is clear that she is not to be overlooked and is, in fact, a stirrer of great conversation and self-reflection. With high calibre writing and profound observations, The Ghost of Iris Carver sings from the pages with clever plot twists and the author's passionate love for the art of writing. Readers and other writers alike will connect to Rusnak's creation in that divine place of creative souls. "If there were ever any doubt in my mind about Alanna Rusnak's extraordinary talent, she has fully eradicated any uncertainty with her latest novella, 'The Ghost of Iris Carver'. 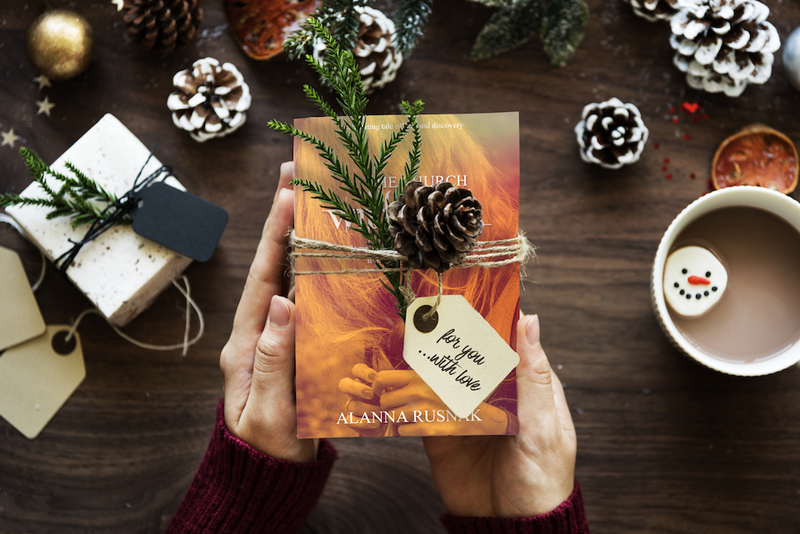 Not only was she able to create deeply engaging characters and bring them fully to life on the page, but she was equally capable of expertly placing them into a conceptual labyrinth and conceal them just behind the venerable, sacred, fourth wall. Sorry Margaret (Atwood), move over Madeleine (Thien), shake a leg Miriam (Toews), and so-long-for-now Ann-Marie (MacDonald), Heather (O'Neill), and Elizabeth (Hay). 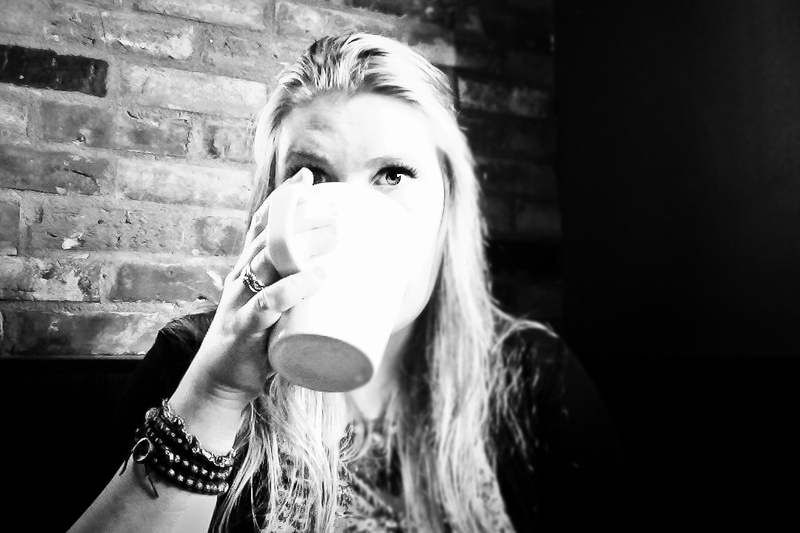 I have a new favourite Canadian author and she's one to watch." 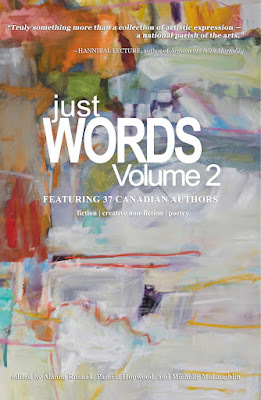 —Geraldine MacDonald (medical translator, writer, published author) Officially launched at the Neustadt Craft Fair on May 5, 2018 in Neustadt, Ontario, The Ghost of Iris Carver is making quick work of haunting its readers, rooting within them an almost desperate need for the next installment in Rusnak's Fallmoore Chronicles, which is in the works for a Spring 2019 release. Copies are available through this website, Amazon, Barnes and Noble, and Kobo. 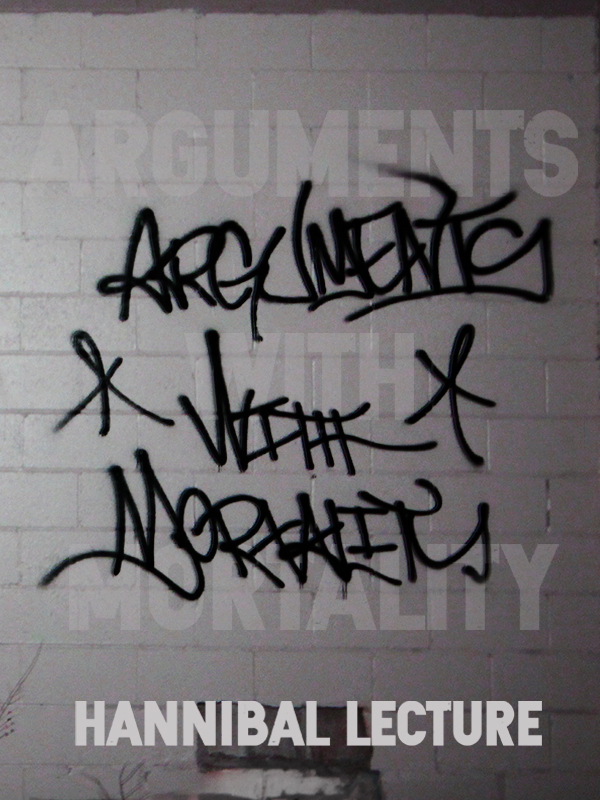 KAMLOOPS THIS WEEK (March 30, 2018 - page 27) printed a little blurb on the release of Hannibal Lecture's book, Arguments with Mortality. And while they properly attributed publication to ARP, they went on to contribute a lot of quotes to Alanna, which were things she did not say (though doesn't disagree with). The quotes were taken from Hannibal's bio and the back cover copy of the book. We're thrilled to see the success Hannibal is finding with his debut poetry collection and are proud to be part of his journey! Grab a copy for yourself by click through the Amazon link below. Hannibal Lecture’s debut collection of 55 poems is bold and powerful. 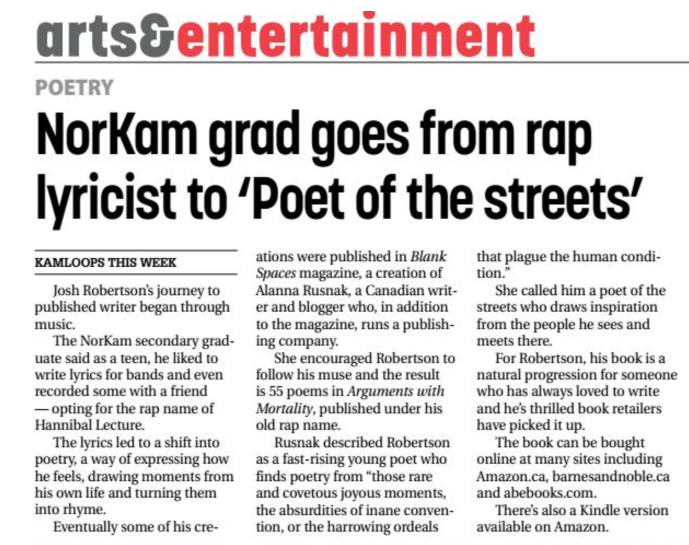 A poet of the streets, it is impossible to consume his words without hearing the rumble of the people who gather around him as he recites on corners outside the clubs near his home in British Columbia. Addiction, relationships, politics, Hannibal addresses it all with rhythmic passion within this humble volume. Hannibal is a prolific and fast-rising young, Canadian poet. He cut his teeth writing and reading for those late-night/early-morning, pill-popping drunks who hung around his old pad—but has since found a larger audience, taking his writing online. In so doing, Hannibal has come to the attention of thousands of new fans—including acclaimed, printed publications; and has even drawn the eye of several of his own musical and literary heroes. Drawing inspiration from real life—whether it be those rare and covetous joyous moments, the absurdities of inane convention, or the harrowing ordeals that plague the human condition—Lecture speaks to all these, and is thus a renewing force; bringing interest and credibility back to a noble medium, now seemingly relegated to haunted, dusty old shelves of stale libraries. In spite of his success and ascent through the highly competitive, dime-a-dozen, Thunderdome of professional writing, this young poet from British Columbia retains a strong sense of humility and self-awareness, evident in his prose—in poems that speak directly to the readers, no matter whom; for Hannibal Lecture is a poet of the streets, inspired by those people he observes there. 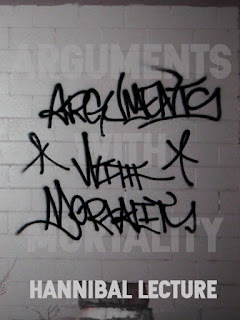 Arguments With Mortality is available in paperback from Amazon, and Barnes and Noble (coming soon). Ebooks are available through Kindle. This Christmas, enjoy a signed copy of The Church in the Wildwood for LESS! From November 25-December 25, order your copy with a savings of $2 off the cover price AND free shipping in Canada! It's November 1 and across the world, writers are eagerly digging into the incredible challenge that is NATIONAL NOVEL WRITING MONTH. NaNoWriMo is all about unlocking the story inside you. It's heralded as a 'Write A Novel In A Month' month, but that's not really true. Because it's not about writing a novel—not really. It's about finding a story, spilling it out for thirty days, after which you hopefully want to clean up the mess and make something good of it. Reality: Ha! It will be excruciating and you'll want to quit at least once every day. Reality: Ha! People won't care. They might be mildly curious. They might tip their head to the side like they're talking to a widow and say, "Aw...good for you!" They'll only really care when your obsessive writing interferes with their regular life. Reality: Ha! On November 30, you will submit your words to the NaNoWriMo official word-counter, receive your celebratory email and certificate from the NaNoWriMo offices and have a stinking pile of goodness-knows-what to wade through and mine for goods. It's about writing. It's not about good writing. It's not about perfect writing. It's about 30 days without a delete key. It's about a first draft. It's about vomiting out ideas and cleaning up the stink later. Don't feel like writing? Doesn't matter—do it anyway! Your first run at a story doesn't have to be flawless but it does have to be written. Write when writing is the last thing you want to do. Write when all you want to be doing is writing. Write when you feel it come easy. Write when every word comes with the pain of a thirty hour labour. Just write. Don't delete. Don't read. Just write. There's no time to be afraid! So much energy can be wasted on thinking you're not good enough, your ideas aren't original, or your characters have stupid names...It doesn't matter! Just get it out! If you spend November scared of what you're writing you'll never meet your goal. 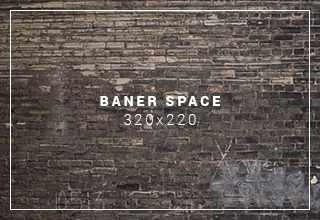 Set aside inhibitions and go all in. When you ignore your fears and you allow the pressure to propel you forward things will be pulled from you and into your story that you would have never found moseying along on your tiptoes. Be bold. Be brave. This is only about you and the story you have inside you—a story you probably won't even know until you read it back to yourself some time in December. No matter what NaNoWriMo brings out of you, remember that the most important thing is showing up. Just write. And whenever you're ready, ARP would love to come along side you and help turn your novel into something that belongs on a bookstore shelf!